The famed author of The 7 Habits of Highly Effective Teens, Sean Covey, delegates 7 habits such as Be Proactive, Put First Things First, and Think Win-Win. Although these habits or rules to live by may lead to success for many teenagers, teens and adults with bipolar disorder need to follow another set of 5 habits. Living with Bipolar Disorder is a challenging and exhausting task that does not bring many rewards, but rather episodes of depression and mania. Living a healthy bipolar lifestyle is even more challenging. This illness will never be easy to overcome, yet using the five Bipolar Rules to Live By, the adaptation process will be more successful. Sleep is one of the five Bipolar Rules to Live By. Not just sleep on a couch, sleep for 3 hours, or no sleep at all, but a regular pattern of sleep cycling is necessary. Sleep in conjunction with exercise, the second Bipolar Rule to Live By, will help conquer the depressive and manic cycles that accompany this disorder. Running on a treadmill, joining the local gym, or simply walking around the house twice can produce healthy chemicals in the brain that can counteract the distractions of Bipolar Disorder. In addition, more exercise will in turn lead to more sleep. The third Bipolar Rule to Live By may seem insignificant or too obvious. 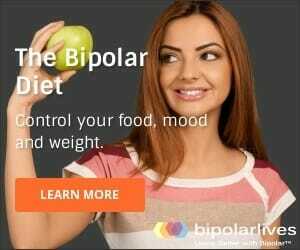 But many bipolar patients find it difficult to devote themselves completely to their diet and nutrition. People suffering from Bipolar Disorder often find comfort in foods with high sugar and other unhealthy ingredients. Sometimes we eat, attempting to forget a difficult day or prevent an oncoming anxiety episode. Healthy bipolar foods include colorful foods, such as carrots, red peppers, and other fruits and vegetables. The last two Bipolar Rules to Live By may seem the most important to many bipolar patients. The right dosage of medication may seem like a life saver to some bipolar sufferers. Medications have the ability to change our mood, prevent anxiety, suppress anger, and elevate our depressive states. Yet without an effective medication and the correct dosage this help is not possible. Therefore talking to our support system, which includes a physiatrist, therapist, family, and friends, is necessary as well. Our physiatrist is the medication expert and can help find the right balance that makes the world not appear as overwhelming. Our therapist helps us cope with our feelings, guides us in productive direction, and provides us with exercises to make our bipolar lives easier. Family and friends are an essential part of the bipolar support system. They help us put our anxieties and fears in perspective. But unfortunately they are sometimes the victims of our anger and frustration. Yet, true friends and supportive family members grow to understand our illness and comfort us when we need or ask for help. The five Bipolar Rules to Live By do not cure bipolar disorder patients by any means. And simply following three of the five rules daily will not lead to a successful and healthy bipolar lifestyle. All five rules must be followed on a regular basis in order for a bipolar sufferer to live a healthy and productive life. I was diagnosed with bipolar disorder yesterday and I am 44 years old. Honestly I didn’t know much about this disorder and through reading the articles in your website I have come to realize that I have struggled with this since my teen years. What worries me the most is that I am the caregiver for my elderly parent, which happens to be suffering from dementia. I have recently changed my eating ha it’s and began an exercise regimen. I just need to work on my sleep patterns. Thank you so much for your website. It truly has informed me a lot!